It’s important to of expand your network on LinkedIn. That’s a basic principle I teach in trying to market yourself as a job seeker or to market your company. It’s a numbers game and should really be quite simple. The more people you are connected to the greater your chance of being found by someone who needs your skills. 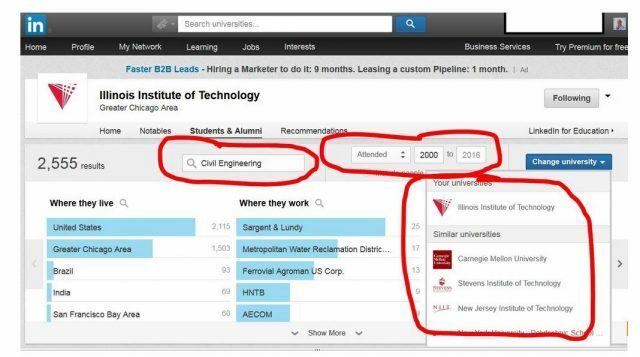 Of course you must first properly optimize your LinkedIn profile based on targeted keywords and then add a sprinkling of activity. The more connections you have also affords more opportunities for you to find qualified prospects. I always tell my one-on-one students or those in my seminars, classes or webinars how easy it is to connect with alumni. In essence you have a very strong talking point, something in common to discuss. That is an extremely valuable networking tool. Most people don’t like change. I know I don’t. Perhaps I am too old. I’m as a traditionalist and am accustomed to certain ways of doing things. So I long to bring back the good old days when you were just two clicks away from seeing your fellow alumni page. Open the page and see who you were connected to in common and what year they graduated in. Then you could send them a message if you were already connected or send a connection request if not. Before the updated to LinkedIn’s UI (user interface) you first clicked on < My Network > (see image below). 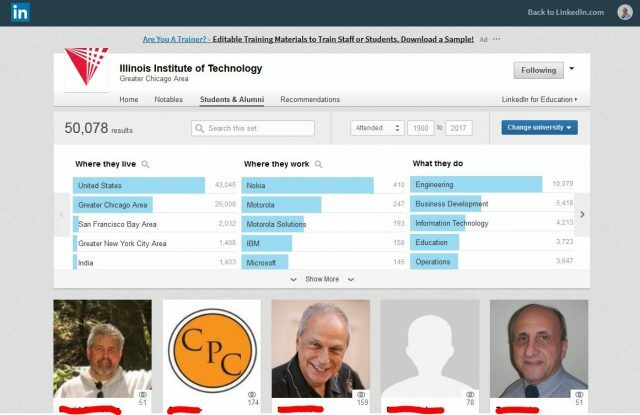 Then the link to your Find Alumni page; it was just under Connections, Add Contacts and People You May Know. Now the good people at LinkedIn have removed that simple link. And perhaps since it is gone some of you may have forgotten its importance. After all, out of sight means out of mind. Here’s one way to get back to your alumni page once again. In the all in one Search box tool, type the name of your school. Find your school in the auto-suggestions and click through to the school. Then click on the blue box < see Alumni >. 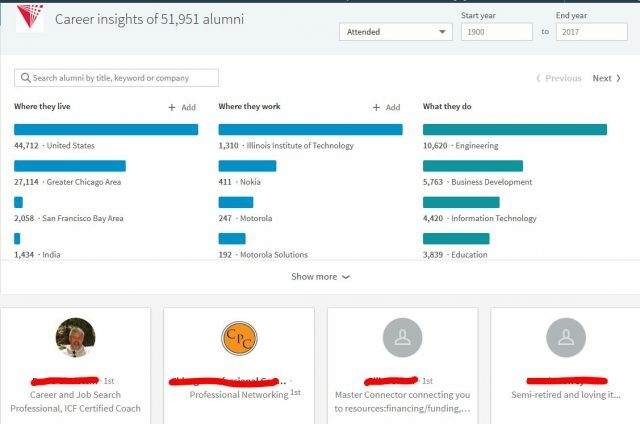 Use the alumni listings to expand your connections. Then you can leverage those connections to find potential prospects. There’s also a search box and a date range selection tool for when they attended. An updated version of the alumni page is coming soon to your monitor displays. It’s somewhat sleeker and even allows a banner image! One thing I did notice about the updated alumni page. The old option (see to the left of the below) of how you are connected (the last option on the right), included “3rd + Everyone Else” as well as Group Members. The new alumni page option only allows 3rd+ (does that mean everyone else?) levels. Fellow group members are eliminated. One other missing feature is the < Change University > link (see middle right in the image below). Clicking here would auto-suggests universities that were similar to yours. You could also browse by name (circled box below). The updated version eliminates this option. You must return to the Search box and start a new search. Well, good luck and take advantage of this feature on LinkedIn. If you need some help putting this all together, please let me know. Or if you are at a loss on how to do searches and how to start the conversation… Please contact me at 847-634-6535 or use the Contact form (click on image below).